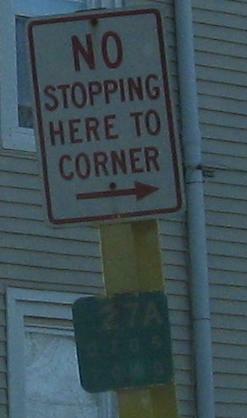 All of Merrick Rd. 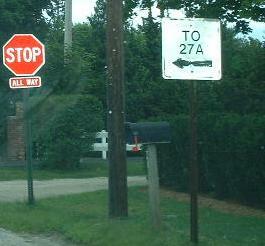 is old NY 27 (pre-Sunrise Highway), but NY 27A doesn't jump in until Suffolk County. Montauk Highway continues from there east to the end of Long Island at Montauk Point. East of the end of the Sunrise Highway, Montauk Highway becomes NY 27, and of course the rest of it is old NY 27 as well. East of the current end of NY 27A, Old Montauk Highway carries on as CR 80, and not too long ago was NY 27A all the way out to the Hamptons. Old, courtesy Doug Kerr, and definitely not NYSDOT signage. 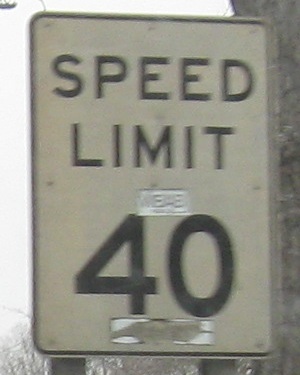 Old-style WB reference markers. 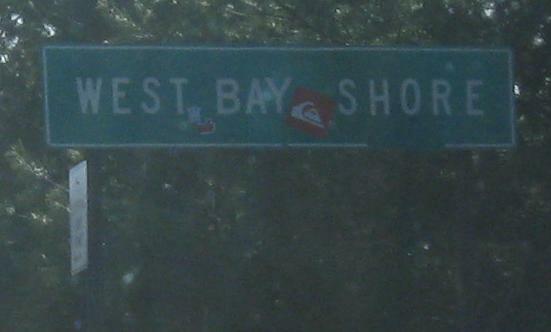 The green and white striped sign accompanying the second marker is common in Suffolk County but I don't know what significance it possesses. 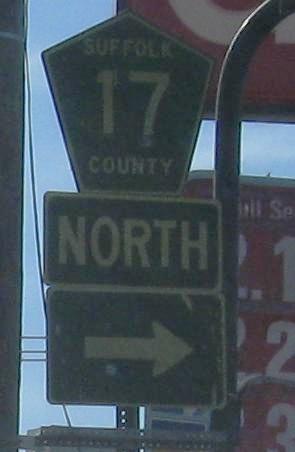 More WB photos, including a county route marker so old it's brownish-green instead of blue (from aging). 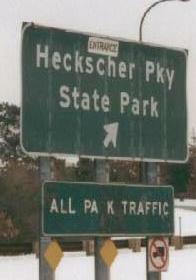 EB at Heckscher State Parkway, the eastern extension of the Southern State Parkway. 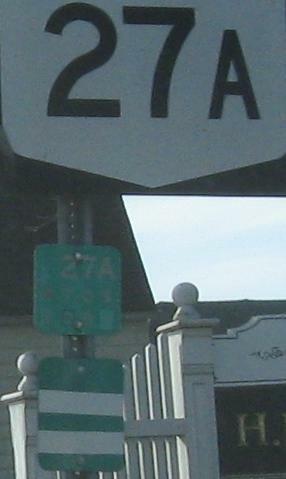 CR 85, old NY 27A east of its current end (and old NY 27 as well, of course), WB in Oakdale nearing 27A.